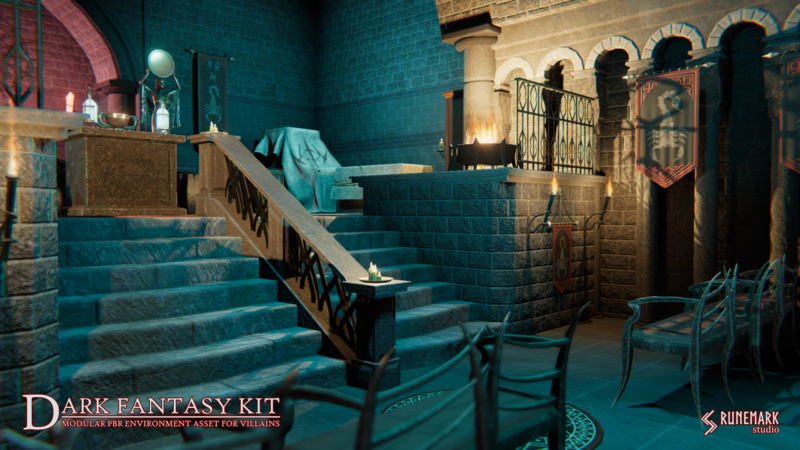 Walls, floors, stairs, pillars, arches. Chairs, beds, cupboards, desks, drawers, shelves. The drawers and doors are moveable and openable. 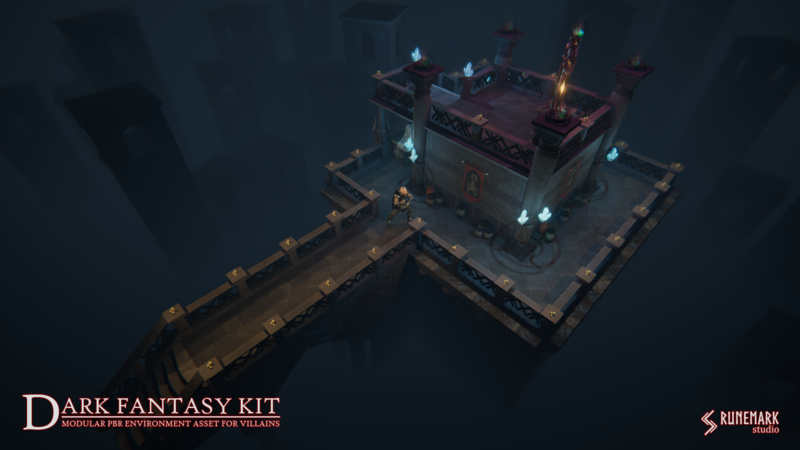 The Dark Fantasy Kit modularity offers lots of possibilities. 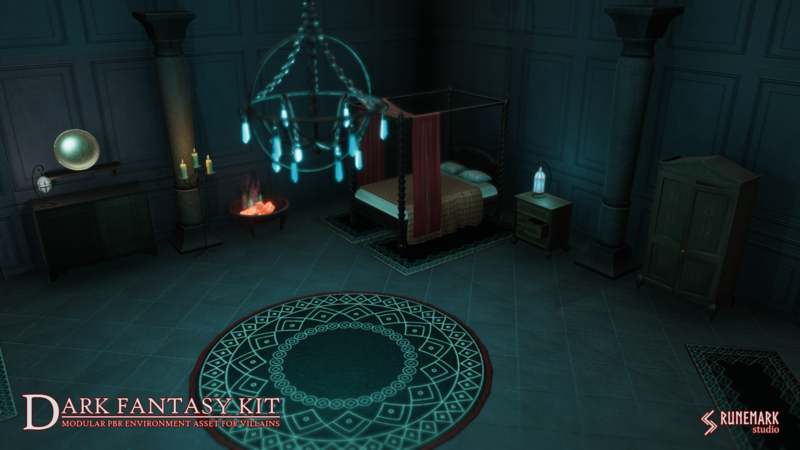 You can create very different layouts with this kit. 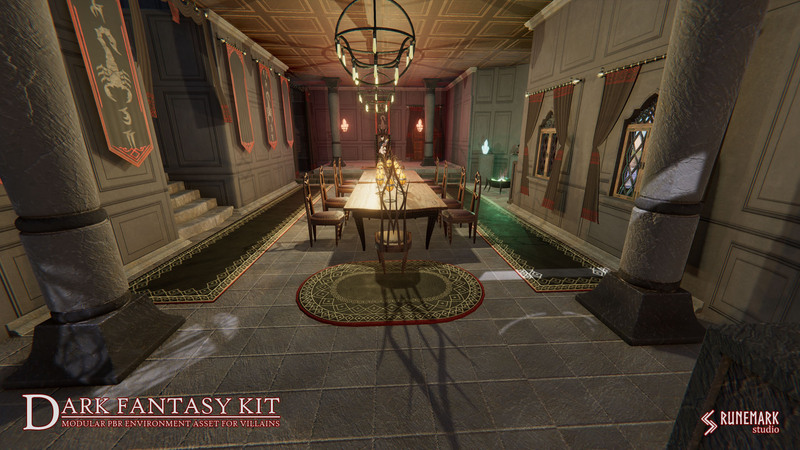 The demo scenes are our attempt to show you how flexible is this package. 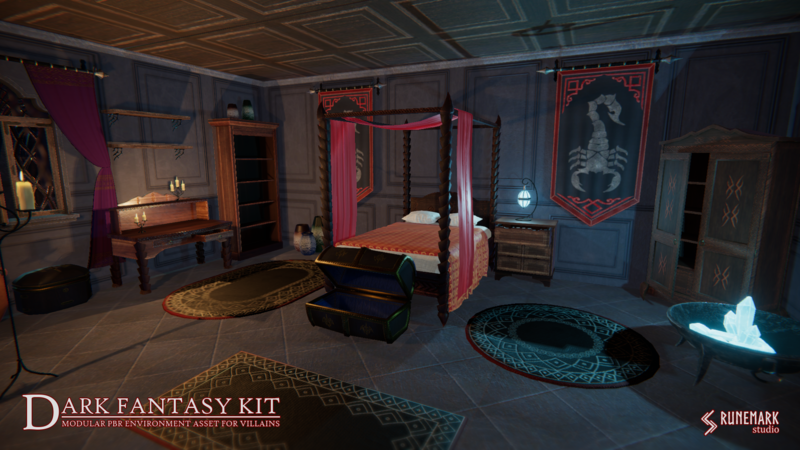 In the future, we are planning to include more demo scenes in the package, as well as downloadable blueprints. Medium sized FPS scene with multiple rooms, and an outdoor garden. 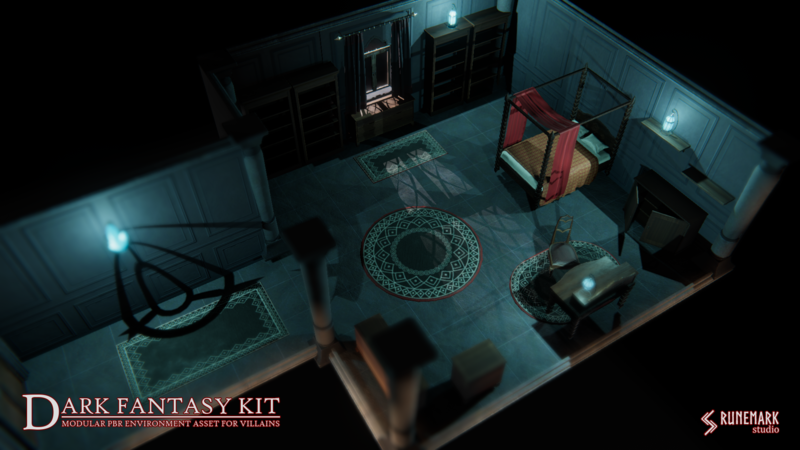 A small Top-Down scene with multiple rooms. All models have their PBR texture setup in a 2k resolution: Albedo, Normal, and a combined map of Metallic-Smoothness-Ambient Occlusion to spare memory. Do you still have doubts? 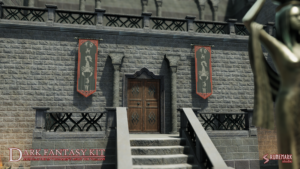 Try our free sample with 20 prefabs! You must hurry and buy it. The price is very good without discount, and is even better during the cyber week. 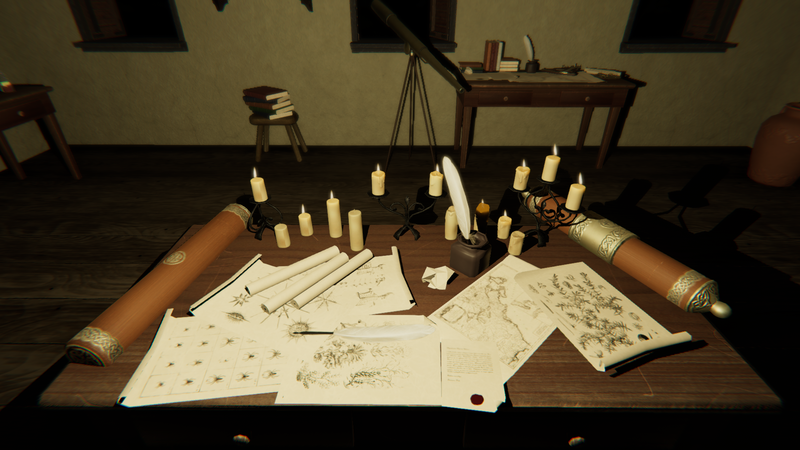 I did not start creating my game yet, I just tried the asset at an experimental test, and it is marvelous. There are a lot of objects. 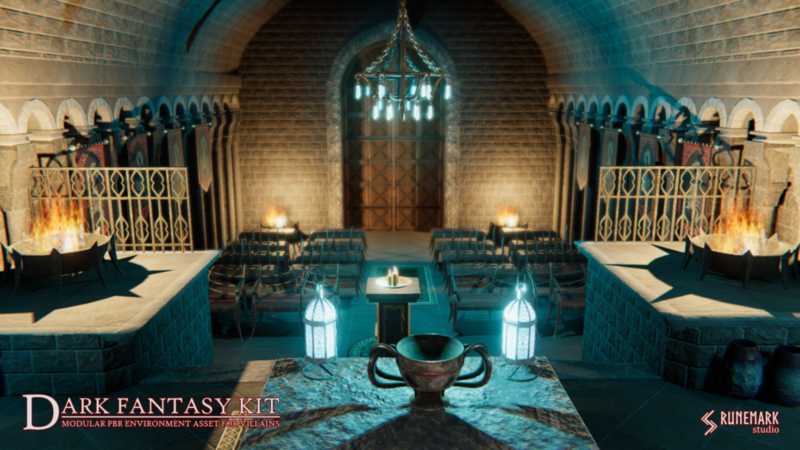 You can easily create an entire medieval world. Congratulations to the author. I love style and quality of the models and didn't find any flaws. Complex prefabs are highly customizable. This is a very nice well done set. The textures are very detailed, including the studs in the chair seat and the details in the door, including the sliding lock. Some very nice set pieces are included here. 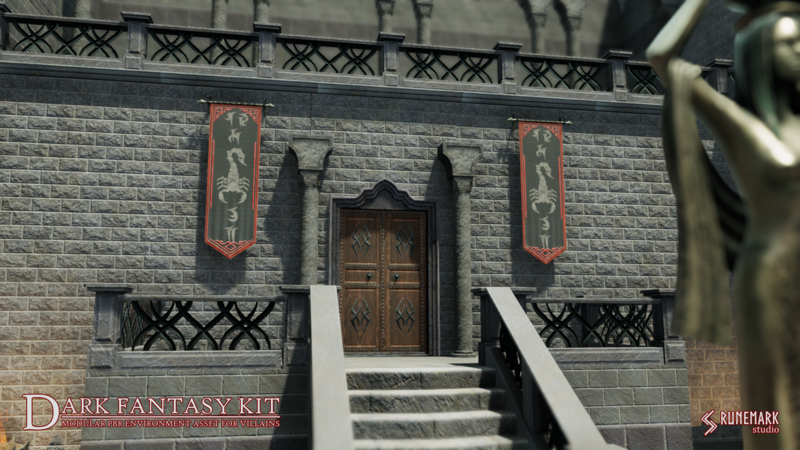 It is a huge package with everything you need in a medieval/fantasy game. Each item is high quality and optimized for games. I absolutely recommend this artist. I will check out their other assets too. 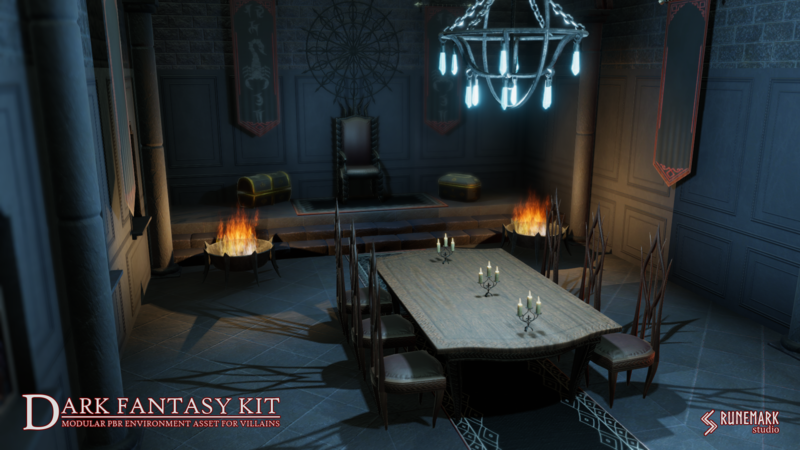 Get Dark Fantasy Kit today from the Unity Asset Store! A small unity component that allows you to create random book piles and clusters with a single click. 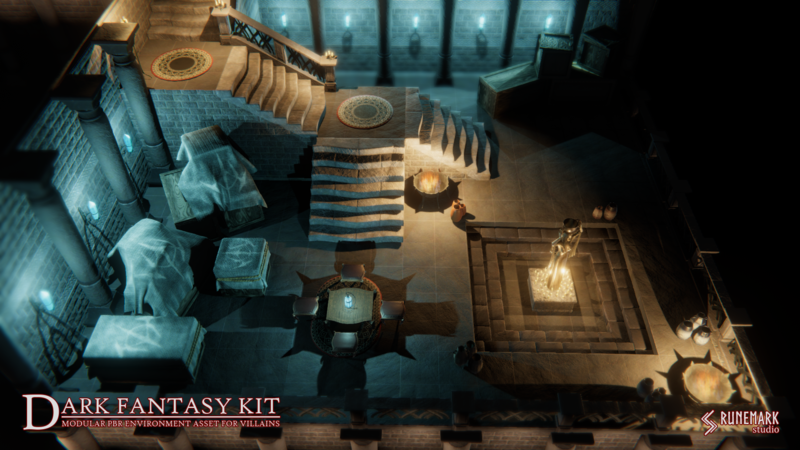 n this part, I would like to tell about some of the challenges and difficulties we faced during creating this asset pack. This diary won’t be complete without telling a bit about it. I hope you see them as milestones of a learning curve as I did. 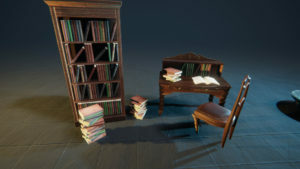 In this blogpost, I would like to share my personal experience, and give insight on my modelling and texturing workflow.